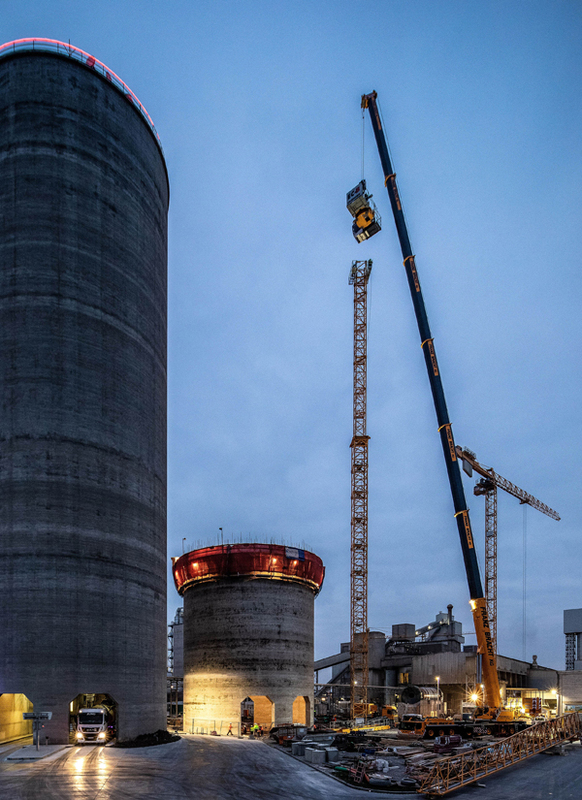 A new Liebherr LTM 1450-8.1 from Franz Bracht Kran-Vermietung’s fleet, part of Bracht Group, was used to erect a Liebherr 172 EC-B Litronic tower crane at a cement plant in Erwitte, Germany. The mobile crane had to hoist tower crane components to a height of 82m. Its 85m telescopic boom meant that there was no need to install the otherwise standard lattice jib as an extension. The 450t crane can hoist 20t on the fully extended boom. Liebherr said these characteristics make the crane ideal for erecting large tower cranes. The new LTM 1450-8.1 enhanced the range of large LTM cranes operated by Bracht, which already includes cranes with lifting capacities of 300, 400, 500 and 750t.